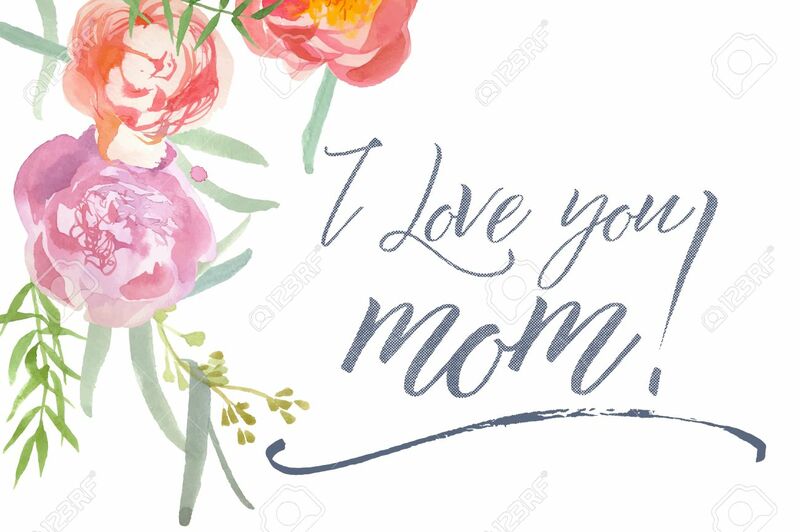 Happy Mother39s Day Card With Watercolor Peonies And Calligraphy... Royalty Free Cliparts, Vectors, And Stock Illustration. Image 39494901. Vector - Happy Mother39s Day Card With Watercolor Peonies and Calligraphy. I Love you mom. Happy Mother39s Day Card With Watercolor Peonies and Calligraphy. I Love you mom.